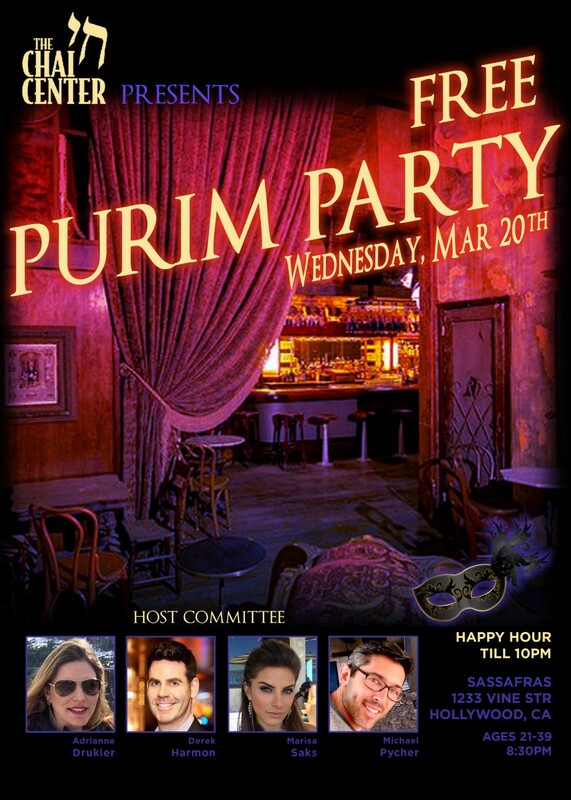 The Chai Center is proud to announce a full blown out Purim Party for young professionals on Wednesday, March 20, 8:30PM. This event is entirely sponsored by a private donor for your total enjoyment. Thank you Elijah. Megila reading will be read at 9:30PM in the VIP lounge. No need to RSVP, just show up with your masquerade mask and get ready to do tequila shots aka L’chaim. Uber suggested. $10 Valet available.